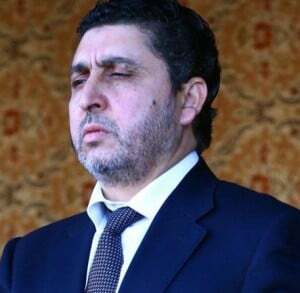 Khalifa Ghwell has claimed all forces allied to the former General National Congress (GNC) withdrew from Tripoli on Saturday to protect the capital from any further damage. The premier of the resurrected National Salvation Government, the administration put in place after Libya Dawn seized the capital in 2014, accused the Presidency Council (PC) of backing militias that had attacked pro-GNC forces. Describing the PC as a “council of disgrace”, Ghwell said it had “bought” militias who had left Libyans suffering economically and without any form security. Ghwell also called for the creation of a unity government, presumably under his control, that would be inclusive and operate under the supervision of the international community. Misratan sources meanwhile say that while members of the Samoud Front were fighting for the GNC in Tripoli on Friday, its leader Salah Badi remaimed in Misrata during the day. The same sources claimed that most of the Misratan forces present in Tripoli supporting Fakhr Libya were small, irregular units. The larger contingents supporting the GNC were, however , said to be from western Libya and included the Kani Brigade from Tarhouna and the Amazigh-dominated Mobile Forces. Other than to Misrata, the pro-GNC militias are understood to have withdrawn to Tarhouna, Zawia, and Sabratha. The evacuation to the last two towns is said to have been made by boats. Large quantities of arms and ammunition a also said to have been moved out of the capital by boat to Zawia. Those Misratan militias remaining in the capital support the PC. These include units 301, 301 and 303 battalions which form part of the Halbous Brigade and the Misratan Abu Bakr Sadiq Brigade. The latter is protecting the customs headquarters.